A new Lego Star Wars game is in development, according to a supervising sound editor at Skywalker Sound. Matthew Wood revealed the news during an interview at Star Wars Celebration. Along with his sound editor role, Wood also voices a number of Star Wars characters like General Grievous. Maison elaborated on Wood’s comments in response to another user, “He was listing off all the Star Wars projects being worked [on] … and casually said ‘there’s a Lego Star Wars game we’re working on…’” Fans of the Lego Star Wars series have yet to receive a game based on the current trilogy of movies. Another interesting detail in Wood’s remarks was that he was listing games he was working on which are set to be released this year. Wood’s reveal could mean their absence is about to come to an end. 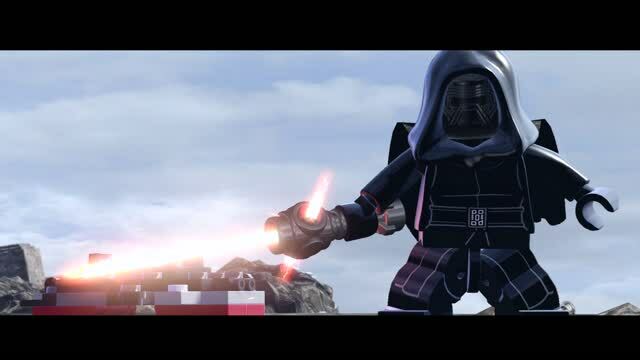 So far, the Lego Star Wars series has covered Star Wars Episode 1 to 6 along with some of “The Clone Wars” TV series. A new Lego Star Wars game release would be part of an extremely busy 2019 for the wider franchise. Along with the recent reveal of Star Wars Episode 9: The Rise of Skywalker, Star Wars Celebration welcomed Respawn to show off the first look at its contribution. Star Wars Jedi Fallen Order showcased its first trailer and we also learned the game will be on November 15. The trailer introduced us to new character Cal, who you can find out more about here. Away from Star Wars, Lego video game developer TT Games is still working to update Lego DC Super Villains. The game released added a Shazam Movie DLC pack, featuring DC’s latest movie superhero. TT Games has shepherded many franchises into Lego video game form. The studio’s take on The Lord of the Rings was removed from sale earlier in the year, potentially due to expiring licensing agreements.